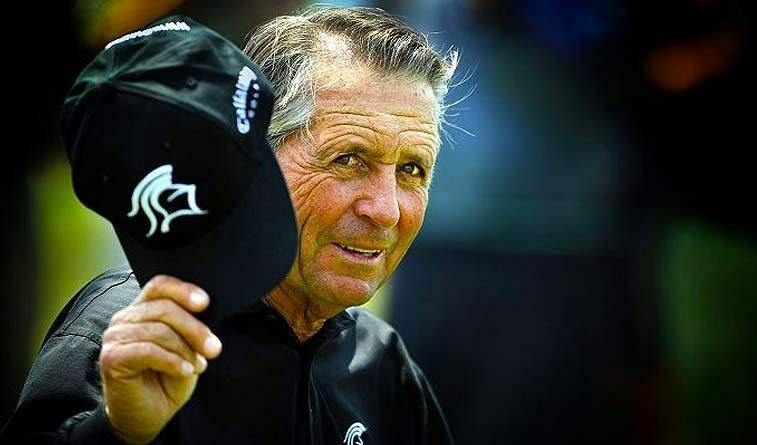 “Whilst delighted for all the players, it’s quite sad to see The Old Course of St Andrews brought to her knees by today’s ball & equipment,” October 8, 2017 nine time major champion, Gary Player. Player was an intense competitor, intelligent and perceptive with tremendous stature in the game but unfortunately the opinion expressed in this tweet ignores the reality of golf today. In case your attention at the time was otherwise occupied, here’s a bit of background. Ross Fisher playing in the European Tour Alfred Dunhill Links Championship at the “home of golf,” the Old Course at St. Andrews, posted a course-record 61 in a vain attempt to catch winner Tyrrell Hatton. Player seems to conclude Fisher’s record and other low scores posted during the Dunhill were due to the ball and equipment. He is not only mistaken but for everyone who plays, dangerously wrong. Let me explain. Player didn’t mention that for four days the weather was everything one could desire this time of year on Scotland’s east coast and most importantly there was little or no wind. St. Andrews has immense landing areas and greens wide open in the front which leaves the wind as its primary defense. Without wind, the course is particularly vulnerable to skilled players and you can add that the course set up was not too severe since the Dunhill is a pro-am and amateurs are playing each day. So with no wind and accessible pin locations, low scores are not surprising. At a tournament length of over 7,300 yards St. Andrews is not a pushover and though scores during the Dunhill were not what we usually see during the Open Championship, it is undeniable that over the years the course has withstood every generation’s best. Not perhaps without some lengthening. Not without reworking some of the tees, putting surfaces and bunkers but always with the wind being a major factor. The tweet reflects Player’s oft expressed opinion that modern clubs and balls are a problem but in truth since the gutta percha ball replaced the featherie 150 years ago someone is always opining the exact same thing after every advance in equipment technology. 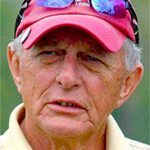 The danger in Player and others beating the drum claiming such a sad state of affairs is the USGA and R&A will take it on themselves to “fix the problem.” His pal Jack Nicklaus has also advocated for a restricted ball for the PGA Tour. 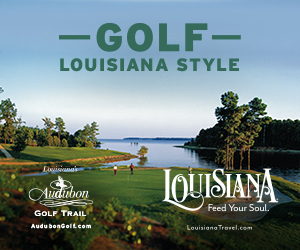 We do not think restricting equipment or creating separate standards for the PGA Tour would be good for the game. Both ignore how virtually all elite players follow an intense physical conditioning regimen, a rarity until Tiger Woods turned pro but exactly what Player himself has preached since the 1960s. Additionally those saying today’s equipment is a problem overlook how virtually every elite player makes extensive use of sophisticated computer imaging to dial-in their swing mechanics. Nor are the tremendous advances in agronomy taken into account allowing fairways to be so much firmer they have Stimpmeter readings on the order of greens 50 years ago. In other words it’s not just equipment and it is overly simplistic to focus solely on the springiness of clubfaces or the improvements to the golf ball when wound balls were replaced. Yes, the ball goes farther but the contention that hurts the game is not supported by facts and is only a desire to keep things as they were, a solution to which will unduly penalize all but a few. Put another way, do you or any of your friends think you are hitting the ball too far? Or even more simply, do you know of anyone who has given up the game because it’s too easy? Making rules to rein in distance because it is thought a few hundred professionals and maybe a like number of the best amateurs are hitting greater distances is ignoring the reality of modern golf. 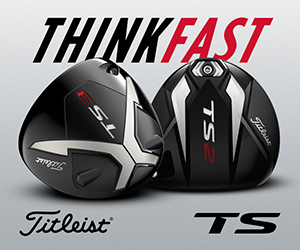 It also ignores the laws of physics as pointed out by Frank Thomas (inventor of the graphite shaft and former Technical Director of the USGA) that the increase in distance due to the solid core ball and high rebound driver faces has reached its maximum. If indeed there is a problem, and I’m not conceding there is, the Tour could solve it by simply setting up courses to be more penal though fans would immediately hate it. The fact the Tour does not do this is a tacit acknowledgement for the status quo. Fans enjoy seeing pros struggle occasionally when faced with narrow fairways, landing zone hazards and four-inch rough as at a U.S. Open. But that’s once a year and the USGA not the PGA Tour runs the championship. If penal setups were the case every week it wouldn’t take the best players long to figure out it’s often best to leave the driver in the bag. Fans would lose the excitement of seeing D.J. or Jason or Bubba challenging the course with booming drives. How much excitement is there in one plain vanilla par-4 after another calling for a three-iron tee shot then a wedge? Not much and what other entertainment business would ever propose to intentionally alienate fans? And there’s another factor. If the pros had to play with a restricted equipment it would kill any OEM marketing plan that relies on “Tour validation.” Acushnet, Bridgestone, Callaway, Cobra, Ping, PXG, TaylorMade, Wilson and others spend millions for endorsements and advertising on the premise fans want to play with the same equipment as the pros. You may argue with the premise but you can’t deny restricting the ball or drivers used by elite players would drastically change the economics of the club business . . . probably for the worse. As I have written before, the so-called distance problem isn’t a real problem, it’s only a conclusion drawn based on an opinion or maybe even an unacknowledged yearning for the “good old days.” The idea modern equipment hurts the “integrity” of the game is almost fatuous and certainly dangerous. It’s a triple threat with the potential to push golfers out of the game, alienate fans and jeopardize the ability of manufactures to be rewarded for their advances in equipment design.